TD and Park Manager Haydn Shore tells the story. 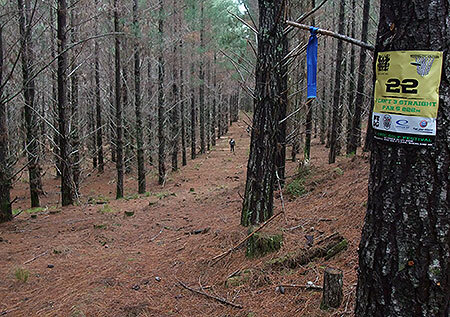 Saturday and Sunday saw the Hallertau Brewery North Island Champs take centre stage. 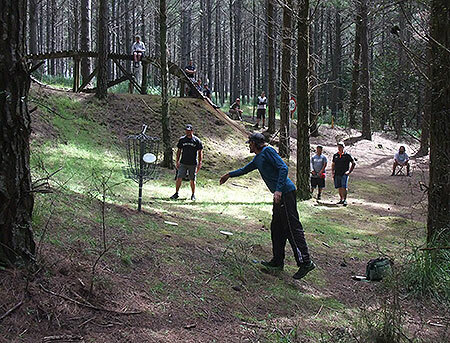 The new “Pines 9” was well received by most despite its scorecard hammering effect. 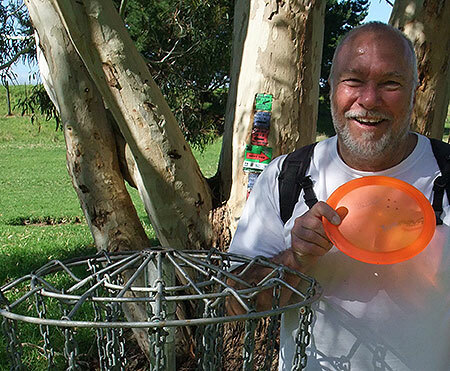 NZDG Pressy, Nigel Hailstone took out the hot round over 18 holes with a 61 (1 over par). With 50 players going at it this year it was always going to be a good one. After 54 holes the super six was separated by only a few shots. Damo Peters and Day 1’s leader Brady Kuech fought right to the end. With a poor upshot on the last hole Damo allowed Brady to force a playoff hole. 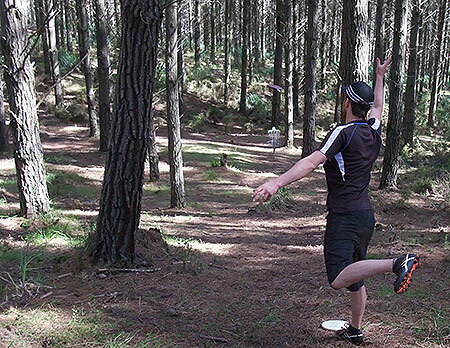 Brady up first parked the very tricky regular Hole 1 to take the title for the first time. A big congratulations to everyone who won their divisions. 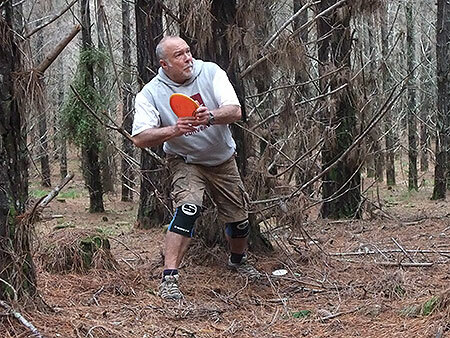 Monday was the most fun disc golf format I have been a part of. I dreamed up The Latitude 64 Two Disc Handicap presented by Vortica Sport to try and give all levels of players chance to win a tournament. 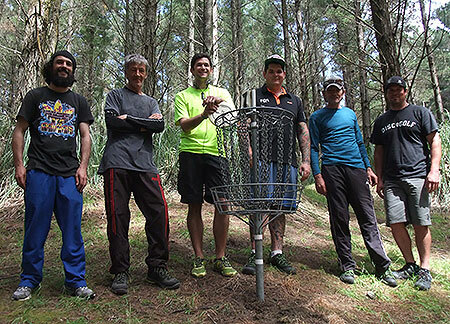 Despite that not actually happening as Logan Papuni won it in the end, I have never heard so much laughing and heckling at a Disc Golf Tournament before. Basically the better you are the more handicaps you received. Handicaps included, opposite hand drives, putter only holes, no run ups, flick putters only, tougher OB and Penalties. A great way to wind down from a big festival of Disc Golf. Hill of Wood - Trees trees and more trees were the feature of the weekend. 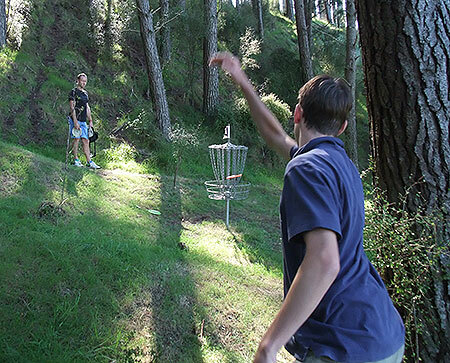 Reidie or Not - First time tour player Nick Blackwood-Reidie with a clear look at the basket. 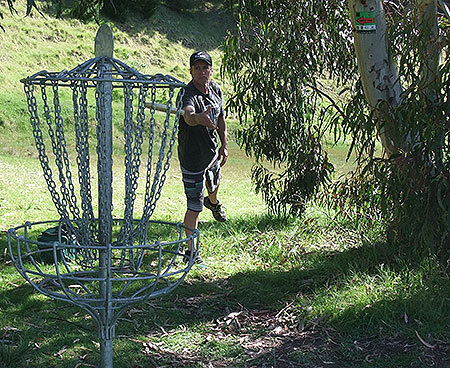 Grand Showing - Upper Hutt golfer Chris Sinai on his way to a good win in the Grand Masters division. 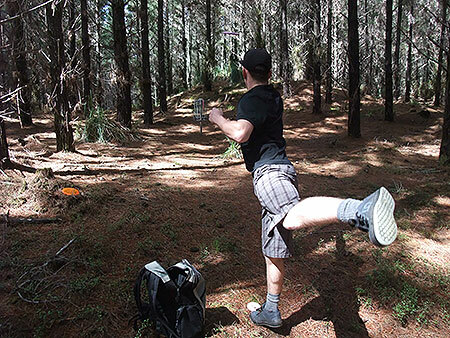 Finally - North Shore golfer Chris Kingsnorth pleased to be out of the woods. 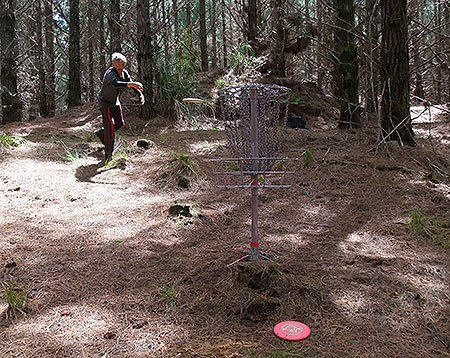 Acing It - The GM nabs the only ACE for the weekend on Black 15. Mr Consistent - Siep Van Vliet putts out in front of the Super 6 gallery. Kaching!!! - Too good! 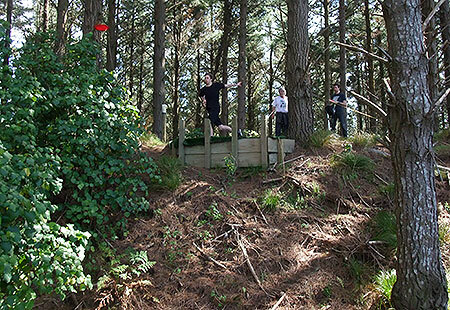 Jacko Sullivan impresses the gallery with a successful 20 metre through the trees jump putt. Podium Punters - The 2016 North Island Top 3. Damo second, Brady first & Hemi third. Branching Out - The GM in a spot of tree trouble. Baptism by Pinus Radiata - Local Mikhil Vama playing his first NZDG event. Newbie - Local Lake McKenna was another first time tour player. Father and Son - Jake Hailstone putts out under the watchful eye of his dad Brett. Tall Timber - Every growing golfer Toby Gentil Tees Black 3. 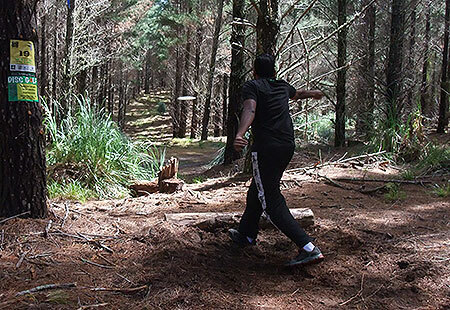 Sulphurman - Rotorua golfer Logan Papuni was a little rusty after life's priorities had seen him with not a lot of time for Disc Golf. Super Dooper - The weekend's 'Super 6'. 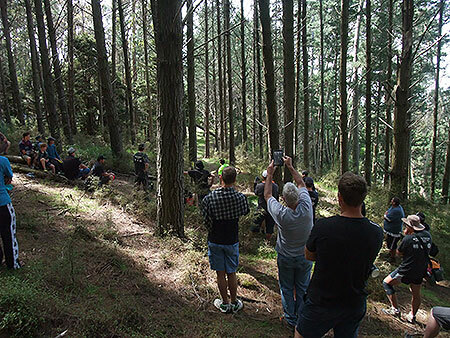 Damian Peters, Chris Sinai, Brady Kuech, Jackson Sullivan, Siep Van Vliet & Hemi Te Awhitu. Highlighting the Talent - The large gallery watch Brady drive the penultimate hole of the 'Super 6'. 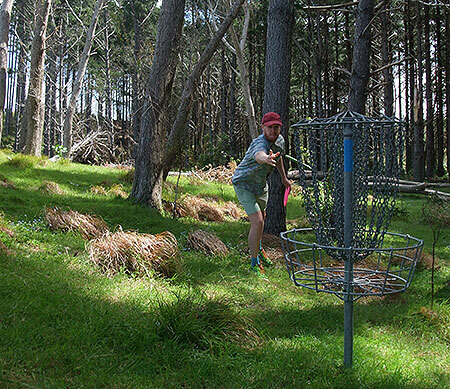 Well Hello - TD Haydn Shore welcomes the players to the 2016 North Island Champs. Watching the Best - The gallery watching Jacko Sullivan play his second on 'Super 6' hole 2. 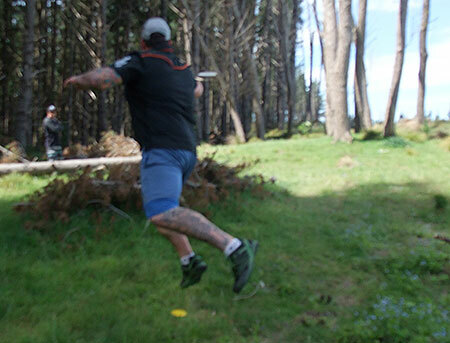 Southern Style - Queenstown's Hemi Te Awhitu made the most of finding form on the Sunday. Age No Limit - Always great to see a GM make the 'Super 6'. Chris Sinai smashes chains. On Stage - Jacko Sullivan impresses the gallery. Welcome Back Mario - Damo and Mario share a moment. Bright Future - Wellington's Brady Kuech threads the trees.